I ate some Canadian foods during this Short Visit program. I will introduce some of them. Poutine is one of the famous Canadian food. It is fried potatoes with gravy sauce and cheese. It is popular for Canadians that I often saw “Poutine” written on menu. 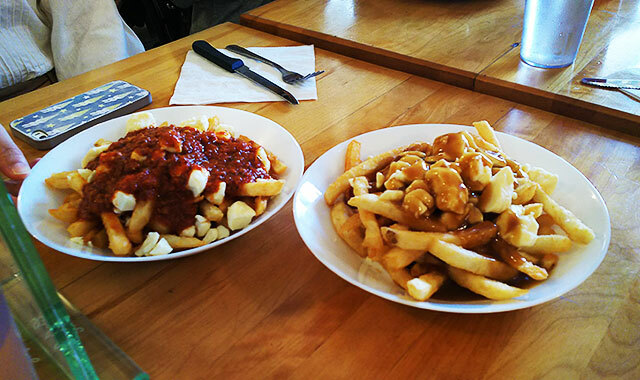 There are some different kind of poutine which is using meat sauce instead of gravy sauce. Ice Cider is a specialty goods of Canada too. Using frozen apple make a cider sweeter than usual cider. Canada’s cold temperature makes it possible. 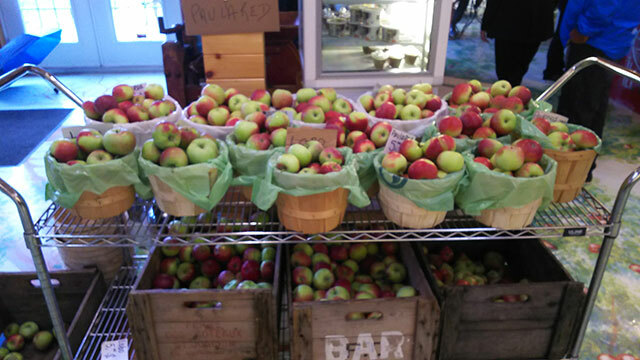 Many people were visiting to cider factory to buy it. The most popular fast food shop in Canada is call Tim Hortons. It sells donuts or sandwiches or soups. There are so many shops in Canada and I saw it many times during this SV. It is not so expensive but tastes good. We ate seafoods at Professor’s house in Prince Edward Island. We learned a unique way to eat mussels. Islanders seem to be familiar with those seafoods. It was a meaningful program for me that I could know about Canada culture more than learning from just only Internet. VIA Rail Canada has railway lines connecting the West Coast to the East Coast. We took it from Quebec City to Moncton. I introduce about VIA Rail Canada and Quebec City. Before railways were installed in Canada, people often took carriages or boats to move. However, roads were in very poor condition, and rivers froze over in winter. This situation prevented the industry from developing. In 1836, Canada's first public railway line was opened. This improves trade and transportation in this area. The foundation of that railway was in Quebec City. “The foundation” is a cable car. It was built in Quebec City to help construct the Citadel, a fortress in Quebec City. The rails of this cable car were made of wood, and these wooden rails related to the installation of that railway. The cable car which remains in Quebec City was built in 1879. However, it connects the port to the heights where the Citadel is, even now. When I took the cable car, I imagined the city in those days. After that railway was built, the railroad network was spread around Canada, and railways connected the West Coast to the East Coast. Railways contributed to the development of Canada. It is interesting that Quebec City relates to Canada developing. Global Studies Program © Yokohama National University. All Rights Reserved.